“Siren Song” by Ian T King offers a new look into the War on Terror with vivid, emotionally charged characters who are devoted jihadi supporters with a fanatical goal of revenge toward the West. The story revolves around three characters: Jo Buck, a local small town hero who leaves for training at Parris Island, Jamal Shirani, who believes it is his duty to Allah to ensure that those who denounce Allah as a religious belief suffer, and a kidnapped woman held in a rat-infested cellar and repeatedly raped by want-to-be Jihadists. King writes with great detail often switching from different tenses given the specific situation, and the transition is skillfully done. He is not afraid to write in such a way that goes against what most authors deem to be wrong, yet he can show what many believe to be a dedication to their religion as misguided motivation. Readers will find that the story is more about the soul of the characters rather than the physical events that take place. Another unique part of this book is an unnamed deity who comments on the activity going on below Him. At first, this deity’s thoughts threw me off until I realized the purpose of his inclusion. The characters are well developed and compelling. From a young local football hero who goes off to train to become a Marine who fights terrorism and then has second thoughts about the purpose of his actions, to a young lady who is enjoying time with her friends and suddenly finds herself kidnapped and repeatedly raped by individuals who feel she has treated their friend unkindly and they want revenge. 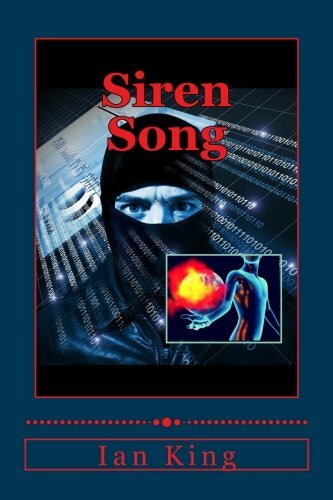 Readers will find themselves caught up in this vivid action story asking, “What would I do?” “Siren Song” by Ian T. King presents current events in the world today and will keep you on the edge of your seat. I highly recommend this read if you are ready to be challenged.